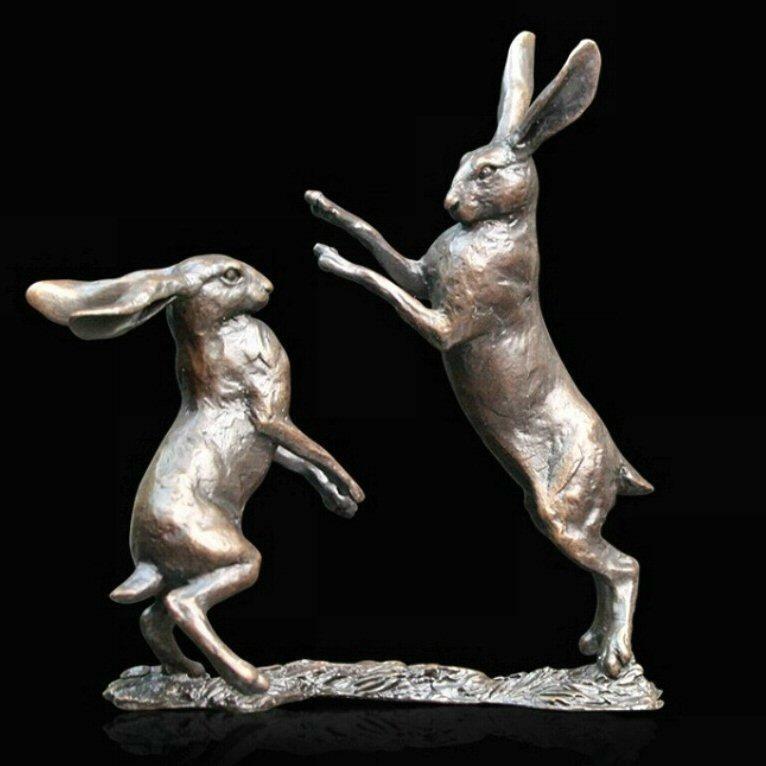 Two hares boxing in solid bronze by wildlife sculptor Michael Simpson. These two hares are seen boxing as part of their springtime mating rituals - one of the iconic sights of the British countryside. This intricate, finely detailed solid bronze sculpture would be a perfect gift for a lover of these elusive creatures.